Cisco is happy with innovation roadmap as it prepares for next generation networks. 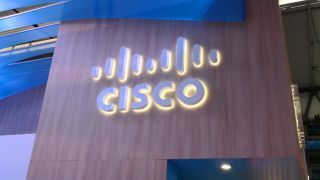 A strong fourth quarter contributed to a three percent rise in annual revenue for Cisco, and the company is confident that its innovation roadmap will lead to further gains as the industry transitions to 5G. Q4 revenues increased by 12 per cent to $12.8 billion, while the full year figure rose by three per cent to $49.3 billion. Networking infrastructure still accounts for the majority of its income, with the transition to multicloud environments and intent-based networking cited as two examples of success, but application revenue was up 10 per cent and security continues to rise. More than half of its revenue is now subscription-based. "We had a very strong finish to a great year and generated our highest quarterly revenue of $12.8 billion," he said. "Our results demonstrate a combination of strong customer adoption of our latest innovations, the ongoing value customers see in our software and subscription offerings, and excellent execution across our customer segments and geographies. Cisco’s traditional market has been networking, but it has expanded beyond this into the software, cloud and the Internet of Things (IoT) sectors, and it is now eying up a greater share of the telecoms market. At Mobile World Congress (MWC) in Barcelona earlier this year, Cisco initiated a major play for service providers and mobile operators with the launch of its ‘5G Now’ portfolio comprising services, infrastructure and automation. The range covers both core network and access technologies. Although the first 5G networks are expected to go live later in 2018, Cisco expects it won’t be until 2020 before it feels the real benefit of the shift.